Audelia is a beautiful object with an attractive design, and also a very effective electric essential oil diffuser: you just need to apply light pressure on the Audelia, and it diffuses your essential oils in a gentle mist enhanced with a softly changing light, offering you all the natural benefits of essential oils in a pleasant atmosphere. 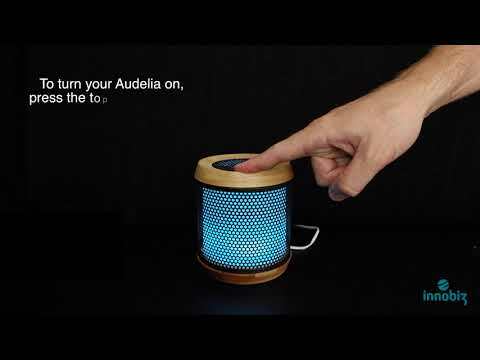 Made in bamboo and wrought metal, Audelia uses ultrasonic diffusion technology to mist your room with essential oils. It also features several lighting options and is easy and intuitive to use. Practical, it switches itself off when its tank is empty.